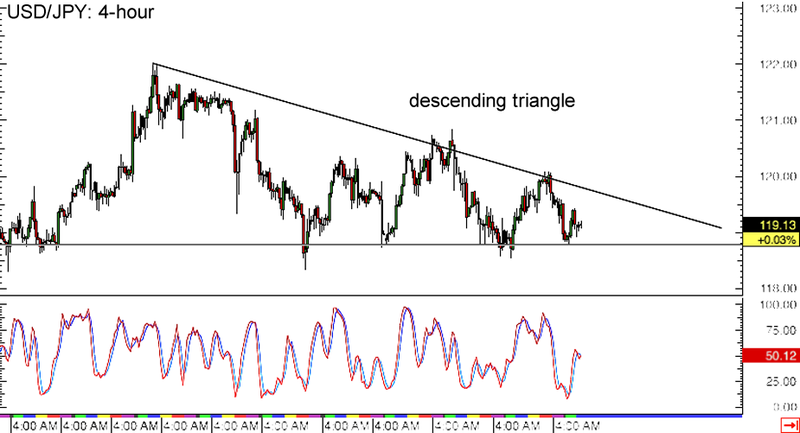 Consolidation is the name of the game for USD/JPY these days, as the pair has been settling inside a descending triangle forex chart pattern on its 4-hour time frame. The pair just bounced off support at the 119.00 major psychological level and seems to be headed for the triangle resistance near 119.50, as stochastic is moving up from the oversold zone. If buyers are strong enough, they could push for an upside break from the triangle resistance and spark a 300-pip rally, which is roughly the same height as the chart formation. Now here’s a potential trend play on GBP/CAD’s 1-hour forex chart. The pair has been moving inside an ascending channel and has just tested the resistance near the 1.8500 major psychological level. Price could test the channel support around 1.8350 to 1.8400, and another bounce would confirm that the uptrend would stay intact. However, the pair already seems to be finding support at the mid-channel area of interest and could be poised to test the channel resistance once more. Better set those stops below the channel support if you’re thinking of going long! 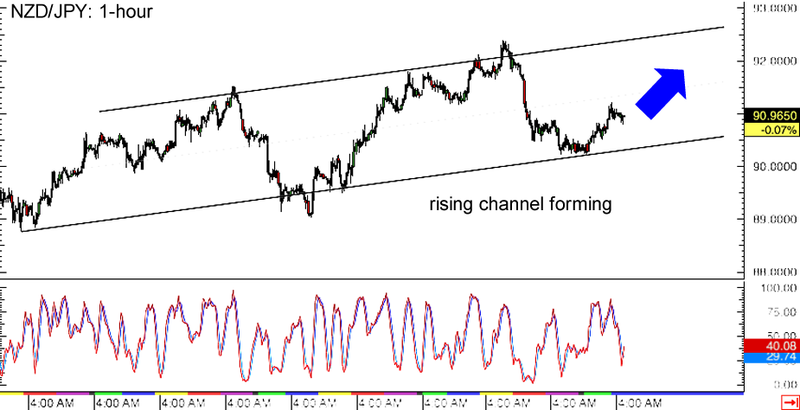 Here’s another potential channel play on NZD/JPY’s 1-hour forex time frame! 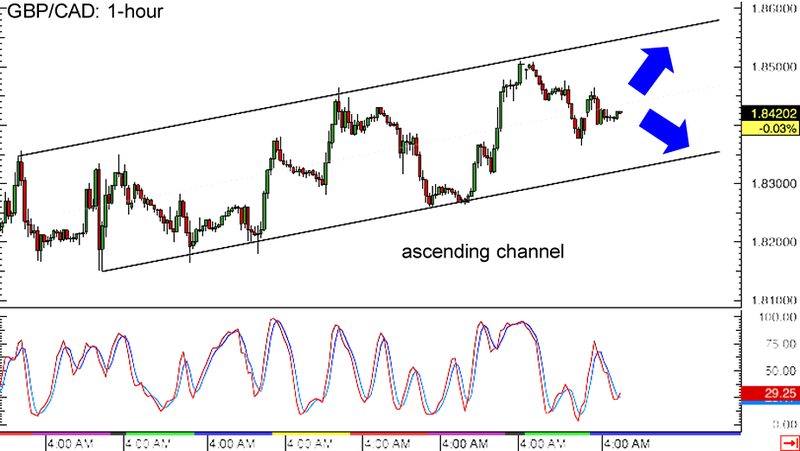 A rising trend channel appears to be forming, indicating that the pair is in a short-term uptrend. Price just bounced off the channel support at the 90.50 minor psychological level and seems to be headed north, possibly until the channel resistance at the 92.50 minor psychological mark. Stochastic is on its way down though, suggesting that another test of the channel support might take place. Watch out for potential resistance around the middle of the channel at the 91.50 handle as well!